Day 21 – UBC – Does it Matter Where I Sit? When I visit a friend or relative’s home for the first time, I usually ask “Does it matter where I sit?”. Everyone has their favourite chair, or seat in the house, and I am wary of plonking myself down on my host’s favourite chair. And one of the most common questions asked of writers is: Where do you write? Like the rest of us, writers probably have a chair or place that they prefer, while writing. I know I do. We all have habits, right? Some good, some not-so-good. And some of us are more bound by habits and routines than others. My morning routine of ‘coffee first!’, is sacrosanct. Pity help anyone who stands between me and that first coffee of the day. Once I’m caffeinated – I’m fine, and the immediate vicinity is once again a safe place to be. Part of my routine features the chair I sit in to write. My favourite chair in summer is by the door, leading out to the verandah. 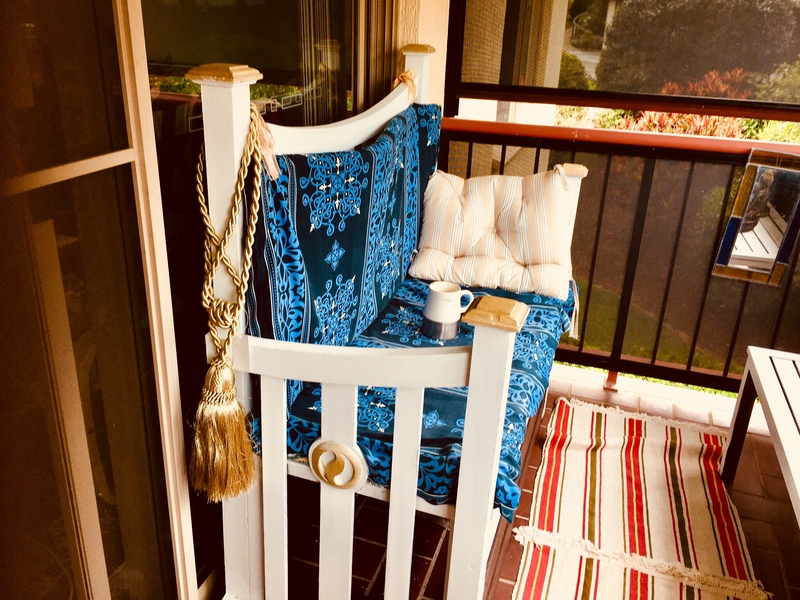 The chair is comfortable and rocks just slightly, and with a breeze coming through the door, writing is easy. If I want to write early in the morning, this is my ‘go-to’ place. Of course, there’s another little habit that goes with that seat – when I sit out there, I have to have a coffee beside me. While travelling this great planet of ours, I’ve discovered a few places I like to claim as my writing-chair. Top of the list would have to be coffee shops and cafes. 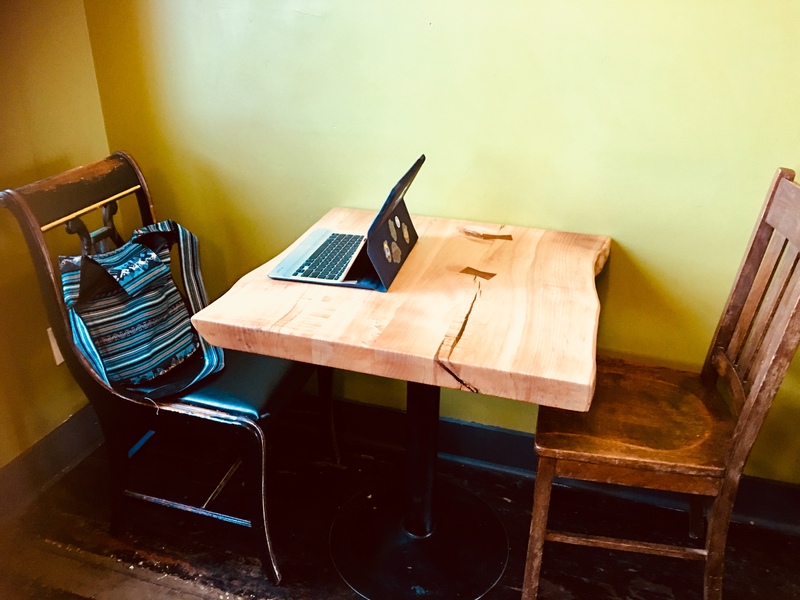 Here are some of the places I’ve sat, with iPad and keyboard stragically placed, and churned out a blog – or two. Usually while sipping about eleven or eight coffees. 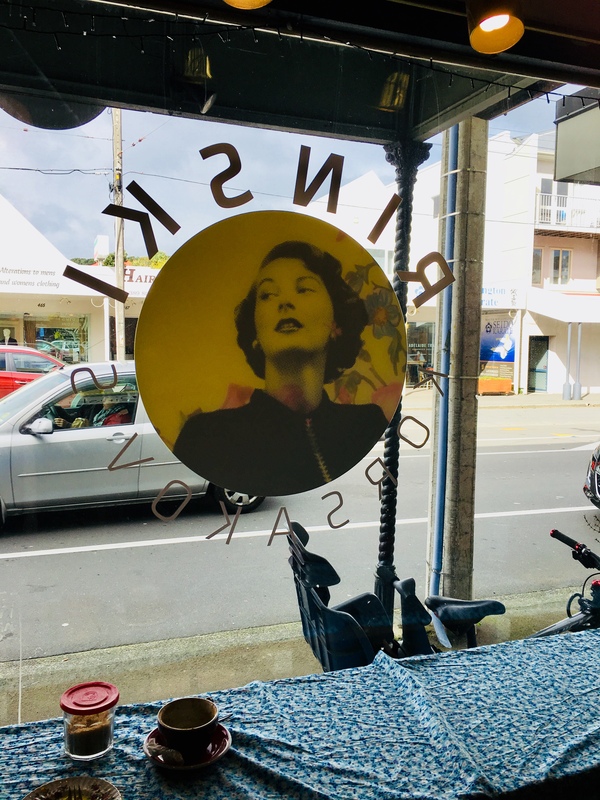 Re Cafe Nate: my neighbourhood coffee shop in Murwillumbah. 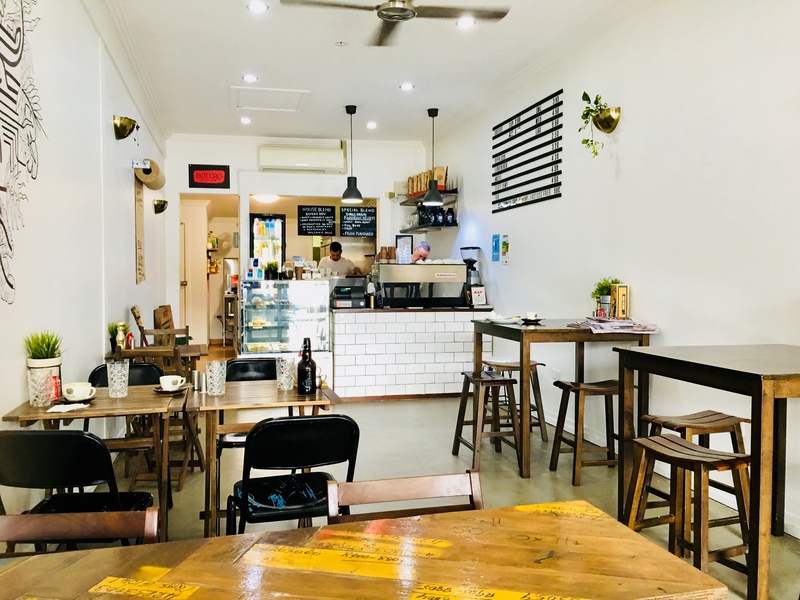 It can get a bit busy here because the locals all know how good the coffee, food and service are, but it’s a great place to write; thanks Josh, Desley and Don. Between The Bars: West End, Brisbane. This is my home-away-from-home coffee shop. Great coffee and great service; thanks Nick and Mal. RedWing Cafe: Seattle, US. Tucked away in Rainier Beach, this is the best place for just hanging out and writing, on a cold winter’s day. The coffee, food and service are outstanding. And that’s all the encouragement I needed to sit and write. Thank you Anthony, Sue and the fantastic team who kept me fed and caffeinated while I wrote, early this year. Rinski Korsakov: Berhampore. What can I say? This was just the cutest place – with a table in the front window for people-watching, when inspiration waned. Luckily, there was no shortage of great coffee and carrot cake, when I frequented Rinski’s in September 2017. Thanks Jet! Where do Famous Authors Write? J.K Rowling, author of the Harry Potter books, came up with the idea for the series while on a delayed train, but wrote in cafes in Scotland. Could it be the coffee that provides the inspiration? If you have ever asked a writer – “Where do you write?”, what was their response? 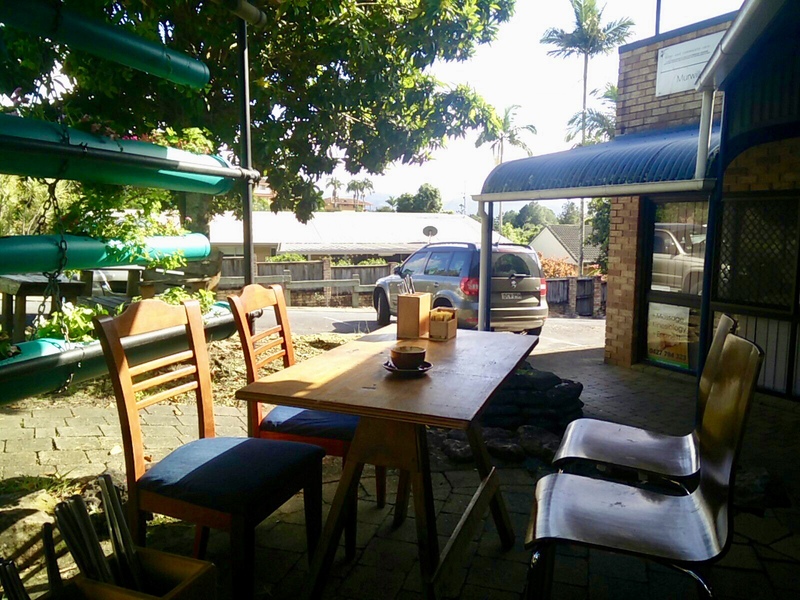 Do they favour cafes, or a park bench? Do they prefer a log cabin in the woods, or a bench on a busy street? My guess is, writers have a favourite place when it comes to the serious business of writing. Inspiration, on the other hand, can happen anywhere.